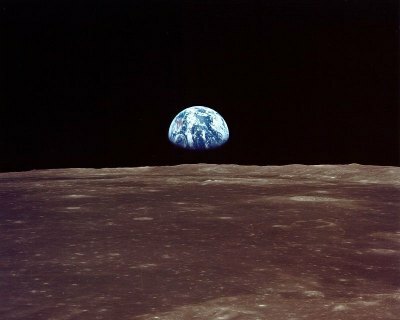 This iconic photo, Earthrise, shows our home planet viewed from lunar orbit prior to landing. Image: NASA. On the same week that NASA celebrates the 45th anniversary of the moon landing, the Internet buzzed about a different event: The 25th anniversary of the movie When Harry Met Sally. A witty, sunny movie, When Harry Met Sally was penned by Nora Ephron, directed by Rob Reiner and starred Billy Crystal and Meg Ryan. The winning combination produced a memorable romantic comedy that still holds up today. But respectfully, it’s not exactly the moon landing. What went down: One month after the June 28, 1914, assassination of Austrian Archduke Franz Ferdinand and his wife, Sophie, Austria-Hungary declared war against Serbia. Fallout: Treaties snapped into place. Nations lined up, and armies mobilized. Soon, the world was at war. By 1918, roughly 10 million military personnel and an estimated 6 million civilians were dead, according to World War I: The Definitive Visual History, Richard Overy, editorial consultant. What went down: Increasingly wary of Adolf Hitler’s leadership, a group of German officers plotted to kill the dictator at his East Prussian headquarters. Col. Claus Graf Schenk von Stauffenberg detonated the bomb and fled to Berlin, thinking he had killed Hitler. But Hitler lived, and Stauffenberg was soon arrested and executed. Fallout: The Soviet Union had launched Sputnik, the first artificial satellite, in 1957 and the first manned spaceflight in 1961. One month after cosmonaut Yuri Gagarin became the first man in space, President John F. Kennedy announced the goal of traveling to the moon. Anyone at least 5 years old in 1969 remembers the lunar landing. Families sat at home, riveted to television sets with the volume on high. Beyond the historical significance, it was scary. After landing, there was still the business of getting home. Through every nail-biting moment, the technology worked. The astronauts splashed down in the Pacific Ocean July 24. What went down: A seemingly endless scandal erupted June 17, 1972, after burglars were caught in the Democratic National Committee offices inside the Watergate building in Washington, D.C. Historians debate whether President Richard Nixon knew about the break-in beforehand. They don’t debate that he was involved in the cover-up. The scandal blossomed. During hearings in 1973 of the Senate Select Committee on Presidential Campaign Activities, a former aide, Alexander Butterfield, said that Nixon had secretly recorded conversations since 1971. Nixon refused to turn over the tapes, a standoff that ended with a unanimous Supreme Court ruling July 24, 1974. The court ruled that Nixon must turn over the tapes to the Watergate special prosecutor. Fallout: One month later, Aug. 8, 1974, Nixon became the first president in history to resign.